Michael Daniel Ho - The Wildlife Ho-tographer: Canon EF 600mm f/4 DO BR Lens Coming in 2018? As reported earlier, Canon is planning to update their entire line of Super Telephoto lens and introduce new ones in the coming year or two. 2018 and beyond are exciting years for Japan and Canon. The Soccer World Cup is in 2018 followed by the Olympic Winter Games in South Korea. Then the Rugby World Cup and Summer Olympic Games will be held in Japan in 2019 and 2020 respectively. Canon usually makes a splash in these big world athletic events by introducing new gear for pro photographers. 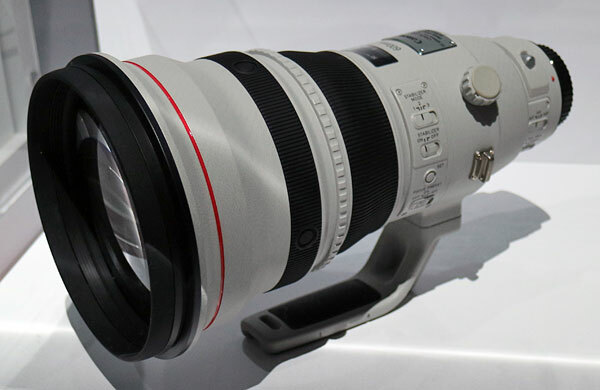 I expect the long awaited EF 600mm f/4 DO BR lens will be announced next year. I bought the first generation EF 400mm f/4 DO IS when it first came out in 2005. It was not the sharpest Super Telephoto lens in their lineup but its light weight and mobility offset the disadvantages in certain situations. Then the second generation EF 400mm f/4 DO IS II came out in 2015 and it was a great improvement. You can read my comprehensive review here. The EF 600mm f/4 DO BR made its debut at the Canon Expo in 2015 and I have longed for that lens since. Keep checking back for more info as I receive them.